The visit to Bodmin and Wenford Railway after Christmas is now fully booked. If you have a place then important instructions for the visit may be viewed here. Following yesterday's ballot for workshops with David Chapman the results are now published in the Field Trip Bookings (above). There were 15 members of the group who wanted places on the workshops and each one of those 15 has a place on their first choice of workshop. Where there were spaces I have allocated a slot or a reserve slot for people's second/ third choices. These are indicated with **. If you do not want to take up the second place or the reserve space you have been allocated please let me know. Otherwise I will assume that you have accepted all the slots offered to you. Following my last newsletter, the Cot Valley trip with David Chapman and Bodmin and Wenford Winter Steam Up are now fully booked but do let me know if you want to go on a reserve list. This coming Thursday is our trip to Morwelham Quay arranged by Marion and a Field Trip Sheet was sent last time but just in case, here it is again. Details of the field trip on Friday 15th December to Trelissick House and Gardens have now been published. Our last Field Trip of the year is entitled Blow away the cobwebs We will be visiting Godrevy on 28th December. Information now available via THIS LINK. Thanks to Lindsay for arranging this one. Hopefully I will see you all before Christmas but if not wish you all the best for Christmas and the New Year and we can all catch up at our next Platform Meeting on Thursday 18th January 2018. We had a very well attended meeting at the Platform yesterday and thanks to Jenny B and Mike Fisher for bringing along their photographs. Jennies talk on Westcountry Wildlife Photography Centre was very interesting and Mike's wildlife photos were superb. Also thanks to Lindsey for all her work in organising the forthcoming exhibition. I went through the future trips and attach an updated field trips calendar. As I explained, I wanted to get various locations on paper and there is no reason why any of the venues could not be changed for adjusted to suit. As regards forthcoming events there is a vacancy on the David Chapman trip to Cot Valley on 29th November. This had limited numbers but if you are interested in the one space now available please let me or Lindsey know as soon as possible. Please be aware of the risks David pointed out regarding the terrain of Cot Valley and if you would like to be considered for this space I will send you the health and safety information. Our November field trip next Thursday is to Morwellham Quay, kindly organised by Marion. A field trip sheet is attached and from Marion's description it sounds like there are plenty of good photo opportunities so I hope as many of you as possible can attend. Yesterday was our last Platform meeting before Christmas, our next one being Thursday 18th January 2018 but please watch your emails for details of the exhibition, forthcoming events etc. 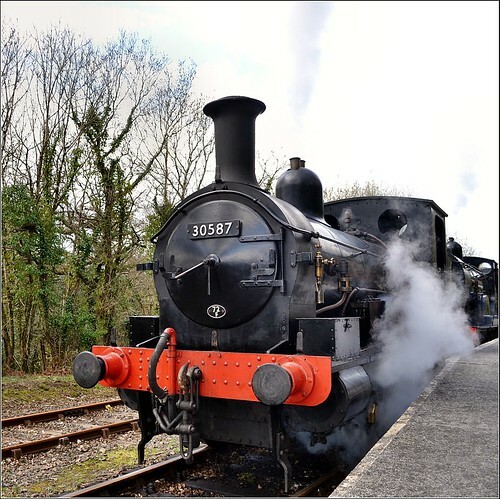 On 30th December there is a morning at Bodmin and Wenford Railway. Last year this proved to be an excellennt event and there is one space available. It is an early start and well worth it and if you would like to go please let me know as soon as possible. Our pre-Christmas field trip on Friday 15th December will be to Trelissick House and Gardens and Jennie M will let us know more about that in due course. In the meantime I hope to see as many of you as possible at Morwellham Quay and do not forget there is a space available at Cot Valley with David Chapman on 29th November and another on 30th December for the Bodmin and Wenford Railway Steam up. I am looking to arrage more trips next year and will keep you posted, adding more special trips next year and will keep you posted. We had a great meeting at the Platform last week and many thanks to David Platt for giving us his excellent presentation on Alaska. The mix of a powerpoint presentation, movie clips and an audio-visual finish were very good and brought the whole thing to life. I have asked David to perhaps tell more on how he put the AV section together at a future Platform meeting. Our next field trip this coming Thursday is to Stourhead and I am sure you are all aware of the arrangements for that. Our next Platform meeting will be devoted to wildlife photography. Jennie Barnes would like to tell us more about the West country wildlife photography centre and Mike Fisher and myself will bring some of our wildlife photographs as well. If you have any particular wildlife photography experiences you would like to share then we would be pleased to see them as well. Our next field trip on 23rd November will be to Morwellham Quay. This is a change in the original programme. At the Platform meeting we discussed the fairness of the current method of selection for special limited number field trips which has caused concern to some of you. My usual, and I still believe the fairest option, is to make you aware of forthcoming trips both at Platform meetings and by email and then once the trip dates have been organised to email everyone at the same time accepting places on a first come first served basis. I also mentioned four other options, the first of these being to try and double up trips so everyone could go, or to take names of interested parties and then draw them from a hat at a Platform meeting. Another option was a ladder system whereby those who do not go on one trip get first choice on the next, and finally a telephone system whereby those who miss out because of poor internet connection or the like are informed early and can contact each other to ensure they are aware of a forthcoming email. Personally I do not believe any of these options are ideal or entirely fair and some of them involve a further level of administration. I would therefore propose the following which will hopefully be a good enough compromise to satisfy everyone. As usual I will inform you of forthcoming field trips at the planning stage. Once I know the date and details, rather than email everyone at that time I will give 48 hours notice of a timeslot during which I will send out the invitation email. I will then accept people on a first come first served basis as usual but hopefully this intervening time period will give those of you who struggle with internet to have time to pick up the information so that you can be available when the advertised time slot goes live. As regards missing out on field trips, where practical and should the need arise, I will try and arrange a double trip but as I mentioned at the Platform meeting, if say 8 want to go on a 6 number trip and we split it 4 and 4 then there would be an increased cost per person because of this, so it is an option that will need to be considered as it may not be fair on the first 6 to bear this extra cost. Also of course whether the professional photographer can spare two days. All I can say is that I will do my best to try and ensure that everyone has a fair chance. I hope this provides an acceptable compromise to everyone but if anyone still feels this is not the best way then please let me know. In the meantime do enjoy the forthcoming field trips and I will see you at the next Platform meeting if not before. Despite a limited turnout I gather you had a good day at Westcountry Wildlife Photography Centre. Jennie reports it was brilliant as with the reduced number there was a lot more opportunity. I have also had good reports about the day with David Chapman and Carla Reglar at Kennel Vale. I will catch up with them both to arrange further trips. Our next meeting will be on Thursday 19th October at the Platform when David P will be talking to us about his trip to Alaska. I am looking forward to this but also bring some of your own photographs to see as well. Our next field trip on Thursday 26th October is to Stourhead and Wells. Quite a number of us will be staying in Wells on the Thursday night with a view to making the most of the following day. A field trip sheet here. Our November field trip was to be to Tremenheere Gardens at Penzance. Marion was contacted by them to say they will be closed at that time so she has suggested an alternative of Morwellham Quay (field trip sheet attached). This sounds a good venue with plenty of photo opportunities so do make sure you come along. Last year there was a trip on 28th December to Godrevy arranged by Lindsey so I will take her up on her offer to organise this again and have put it in the calendar. I have also updated the calendar and put a few more in for 2018. On another matter it has been brought to my attention that some feel the method of selection for limited number field trips is not entirely fair. In the past I have always endeavoured to make people aware that special trips are coming up so they may be ready and once the precise date and details are available to me have emailed everyone at the same time with those responding being accepted on a first come first served basis. These spaces fill up very quickly but I appreciate this does not work for those who do not have regular or reliable internet access. If anyone has any thoughts of a fairer way of dealing with this then please let me know. An option could be to advertise the event and then wait a week or so, putting the names in a hat for drawing at a platform meeting for example. I am not sure that this would always work as this may discourage those who work and travel together if only one of them comes out of the hat. Perhaps selfishly but Caroline and myself for example. Please let me have your thoughts as whilst I have always tried to be as fair as possible I appreciate the present system does not work for everybody. If you have any ideas please email me and then we can discuss it at the next Platform meeting. I look forward to seeing as many of you as possible on the 19th at the Platform and then on the 26th at Stourhead. Our last field trip was to Paignton Zoo and Jane reported - "Six of us went to Paignton Zoo, there were some good photographic opportunities, most of us taking advantage of the feeding time schedule to get some action shots. The weather was perfect for a leisurely walk around the enclosures. We rounded the day off with a quick visit to Paignton sea front and Pier. An enjoyable day had by all." Our next field trip is to Stourhead and Wells on 26th October (field trip sheet attached). Lindsay has suggested that those staying overnight in Wells might want to eat together at ASK Pizzeria. If you would like to do this let Lindsay or me know as soon as possible and she will book a table. The day after is left open and you may want to stay around Wells to photograph the cathedral etc. or take a trip to Somerset Levels for example. We can discuss that when we meet pending weather etc. Our 23rd November trip arranged by Marion is to Tremenheere Sculpture Gardens - field trip sheet attached. No need to book - all welcome and car share where possible. I look forward to seeing you on 19th October at 2pm for our usual Platform meeting. As well as showing your own photographs, David P is going to tell us about his recent Alaska trip which I am particularly looking forward to. The List of Field Trips, available via blue button at top of this page, has been updated through to May 2018 . Please do think about possible locations to fill the gaps still there for next year. The only responsibility for leading a trip is completing a Field Trip sheet such as those attached to this email and researching the best cake locations so not an onerous job! Jane has contacted me with the following information. 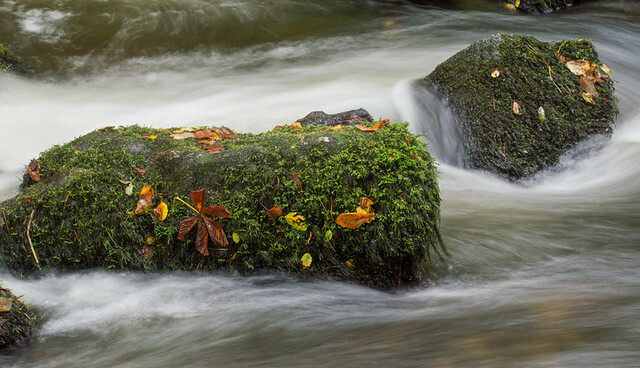 Also, there is a photographic exhibition at the South West Photography School, St Ingunger Country Offices, Nr Bodmin (southwestphotographyschool.co.uk) on the weekend of 7th and 8th October 10am to 4pm. Bodmin and Wenford Winter Steam-up is on Saturday 30/12/17, suggested meeting time will be 6.45am at Bodmin General Station Car Park, numbers will be limited to ten." The Bodmin & Wenford Steam Railway. Boscarne Nr Nanstaion. Thank you to Peter T for arranging a railway morning again. Don’t let the early start put you off. Those of us who went last time found it very rewarding and a great photo opportunity. If you would like to go please let me know soon as the numbers are limited. The Tony Worobiec day filled up within an hour of it being advertised but if you are interested there is a reserve list and it may be we could arrange another day with him later. I have now updated the calendar but if you have any thoughts on future trips let me know. We had a great day on Dartmoor for our last field trip with 11 of us turning up to enjoy the scenery and good weather. Thank you to Caroline for producing the detailed itinerary. She has said she will produce 3 more, 1 for each corner of Dartmoor. So we have several such trips to look forward to. Those of us who went to see David Penprase found his advice very helpful I felt, and thank you to Jan and David for providing us with a super lunch. In the afternoon we had a few enjoyable hours under Carla Regler’s guidance. I asked Carla about some time doing equine photography and she is going to let me know. Carla also raised the possibility of a night time shoot next year to photograph the Milky Way over St Michael’s Mount and watch the sunrise. This will be dependent on weather, tides etc but I have asked her to let us know on this one too. Our next Platform meeting will be on 21st September so please bring some photos particularly from recent trips. I also want to talk about future days & events. Our next usual field trip on Thursday 28th September is to Paignton Zoo and I will send a field trip sheet out soon. All are welcome. On Tuesday 3rd October, Jennie Barnes has organised another trip to the West Country Wildlife Photography Centre. There are still some spaces available so if you are interested please let me know as soon as possible. The cost is about £50 per person but it is well worth going and several of us on this visit are making return trips. We then have a day at Kennall Vale with Carla Regler and David Chapman on Monday 9th October. This again is fully booked but if you are interested I will put you on the reserve list. For the third Thursday October Platform meeting David Platt will be giving us a talk on Alaska and having seen a few of his photos I think we will all enjoy this. Our October field trip on Thursday 26th is to Stourhead and, as mentioned previously, a number of us are stopping overnight in Wells with a view to spending time around Wells on the Friday before travelling home. This is open to all so if you are interested let me know and I can provide you with more information. I had suggested a Fuji/mirrorless meeting this month but time has beaten me so I will try to arrange something in October. For those attending our RPS workshops, I suggest the next meeting for Monday 23rd October at Lanlivery Cottage at 6pm as usual. Finally just to let you know Carla has more Lightroom workshops coming up. Here is the link or go to her website. I believe those of you who have been to her previous workshops found them very good and worthwhile. Today we have our usual meeting at the platform office at Lostwithiel station at 2pm so please bring some photographs. The following week is our usual field trip and this will be to Dartmoor. On 7th September for limited numbers we have a morning with David Penprase and an afternoon with Carla Regler. 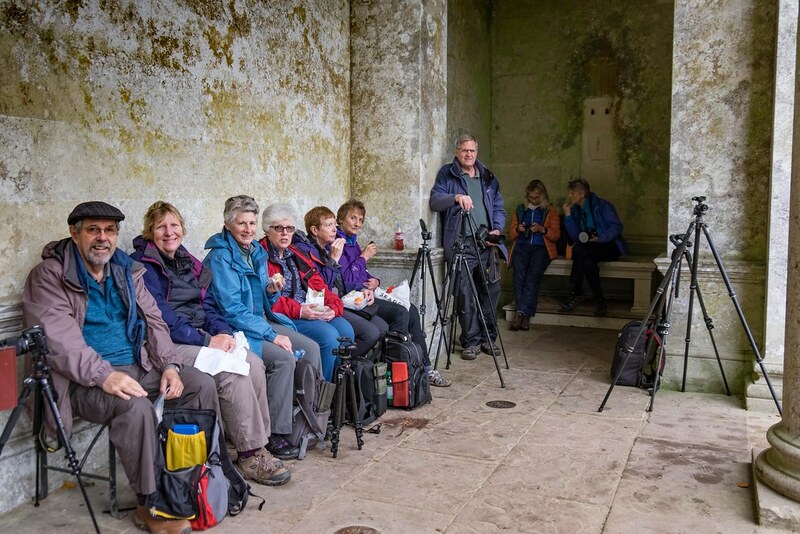 On 18th September, again with limited numbers, a day with Carla Regler on the Lizard. These are fully booked. On Tuesday 3rd October, Jennie Barnes has arranged another day at the Westcountry Wildlife Photography centre. This is limited to 8 so if you are interested please let me know soon and I will put you on the list. On Monday 9th October we have a day at Kennall Vale with Carla Regler and David Chapman. This is limited numbers and is fully booked now but if you would like to go on a reserve list let me know. On Monday 16th October we have a day at Exmoor with Ross Hoddinott but, again, this is fully booked. On Thursday 26th October we are going to Stourhead and Westonbirt. I mentioned this on my last newsletter but in principle some of us are going to stay over to make more of the trip. A couple more trips coming up are Wednesday 29th November which will be a day at Cot Valley with David Chapman. This is already fully booked but I will put you on a reserve list if you are interested. On the Thursday 25th January 2018 there is a day at Helston with David Chapman. This is booking up fast but there are still two or three spaces if you are interested. I gather those of you who went to Rosemoor RHS with Ross Hoddinott had a good day and I have asked Ross to let me have some dates for two or three days with him next year so I will keep you posted. Look forward to seeing you all at the Platform tomorrow and on the Dartmoor Trip next week. Thank you to everyone who came to Lethytep last Monday. I was very impressed as there was a full turnout, despite the weather forecast and we were actually rewarded with a very nice day. I have thanked Philip and Faith on our behalf for their hospitality and refreshments. I am pleased to report we raised nearly £250 for their chosen charity. Also thanks to David Chapman for his enthusiasm and assistance. I paid his modest expenses but he put the money straight into the charity pot. On Wednesday 29th November to Cot Valley. Note this site has access difficulties and I am aware of a number of photographic equipment and people breakages over the years so you must be fit, active and confident for this one. See David’s warning also. A maximum of 6 people at say £15 each - on a first come basis as usual. Thursday January 25th or Friday 26th to Helston Boating Lake. Easier going this one and there is the essential cafe on site. A cost of about £15 each - maximum 8 people again on a first come basis. I would ask David for the Friday as a preference as the Thursday is our usual field trip. However it’s a long time off so the field trip could be rearranged if the Thursday was preferred by the majority. 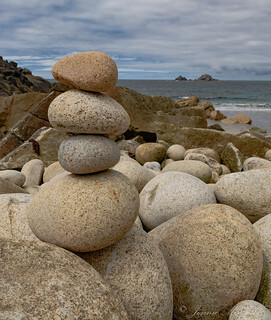 "Nov 29th; slow-shutter speed landscape/seascape photography at Cot Valley near St Just in Penwith; for able-bodied only!! People have to be prepared to walk over large rounded boulders on beach, please do not allow people to sign up if they are not prepared to do this. 2pm to 5.30pm. I would want to limit numbers to 6 people. People should have: sturdy tripod and might want to bring neutral density and neutral density graduated filters if they have them (though the filters are not necessary). Jan 25th or 26th; Helston Boating Lake for photographing birds 10am to 3pm with lunch at the café on site. Birds will include ducks, swans and gulls, we will try low-angle photography and will experiment with creative blur. I would like to limit the numbers to 8. People should have a lens of about 300mm (200mm might be enough and something more powerful would be ok). Please email me via lanliverycottage"AT" aol.com ASAP if these interest you and I will add your name to the list. A reminder that next Thursday17th is our usual Platform meeting at 2pm. Please bring photos etc. Our next field trip is on the 24th to Dartmoor and Caroline is putting together a plan for photographic locations which I will pass on in the next few days with our usual field trip notes. All is confirmed with Lethytep next Monday and I look forward to seeing you there at 2pm. If you need directions these are on the website and David Chapman has confirmed he will be there as well and will give us some photographic guidance. 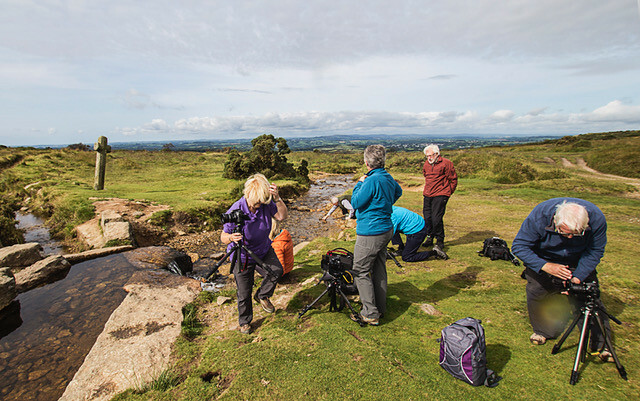 For our August field trip on the 24th, we will have a day on Dartmoor by popular request. A few years ago Caroline and I had a day with Ross Hoddinott on Dartmoor so I will perhaps revisit some of those site but will put together a field trip itinarary over the next week or two so please reserve that day it should be a good trip. We have not had a Platform meeting for a while so I suggest to our usual Thursday format and meet at the platform on the 17th at 2pm as usual. Please bring some photographs along and anything you would like to talk about. Two or three months away but our field trip in October will be to Stourhead and as mentioned before you may like to take the opportunity of making it an overnight trip. Several of us have booked the Premier Inn at Wells for the Thursday night so we will travel up to Stourhead on the Thursday morning and stop in Wells overnight on the way back having a day on the Friday photographing around Wells or the Somerset levels. Those of us who have booked accommodation have done so at the Premier Inn at Wells so if you are interested you might like to do the same. Our September trip is to Paignton Zoo, more on that in the next few weeks. Therefore I look forward to seeing you all at Lethytep and following that the platform on the 17th August. I have mentioned Lethytep where we have a day booked on Monday 7th August. Website details here. The event will start at 2pm and all are welcome. Lethytep make no charge for visiting groups but do request the minimum donation of seven pounds per person. This will include refreshments and the money will be donated to their chosen charity, usually in aid of Cancer Research or other medical charities. The photographers among us will also have the benefit of some time with David Chapman and I have agreed we will cover his travelling costs but he will not be making his full daily charge, so perhaps a couple of pounds per photographer as a guide. IMPORTANT: You and friends or family will be welcome to come to Lethytep but I would appreciate it if you would give me an indication if you are going and how many so I may advise numbers to ensure an appropriate quantity of refereshments is available. Those of us who went on the recent Ross Hoddinott workshop had a really good and enjoyable day. We spent the day at Rosemoor and then the evening at Crackington Haven for some sunset/landscape photography. Ross was excellent as usual and everyone had a really worthwhile day. The next Ross Hoddinott day for a limited number of you is on 27th July. I hope those of you that are booked on this one have as good a weather as we did. Our usual platform meeting on 20th July will be replaced with a field trip organised by Jasmina and Lynda. There are two options to this depending on weather. Option 1 will be a trip to the disused Glynn Valley China Valley Clay Works but if the weather is poor there is an alternative to go to Carnglaze Caverns. Field Trip sheets are attached and a final decision can be made a day or two before once we have a better idea of the weather. As a few of you are going on the Ross Hoddinott day on 27th July, I thought a local trip for the rest of us might be an idea and have suggested Cardinham Woods (field trip sheet attached). The next event is on Monday 7th August where I have booked an afternoon at Lethytep http://www.cornwallwildlifehaven.co.uk. I have asked David Chapman to come along so we can benefit from his photographic expertise. He is very familiar with the site and I am sure will give us some good ideas. I would like to extend this day to as many as possible as any fees will go to charity so please feel free to bring along friends and family. As regards a donation to Lethytep a minimum of £7.00 is suggested and then a little bit more on top of that to cover David’s expenses. These monies will be collected on the day rather than in advance. In a couple of weeks time I will ask for numbers attending as I will need to know a day or two before how many are going so refreshments can be organised which, by the way, are included in the donation price (in my experience and in true photography group fashion the cakes are extremely good). I have yet to organise field trips for August and if anybody would like to arrange one please let me know. There are one or two things organised in September, our field trip that month being a trip to Paignton Zoo organised by Jane. On 1st October we have a day at Kennal Vale with Carla Regler and David Chapman. This has limited numbers but I still have a few spaces left on this one so please let me know if you would like to go. Looking further ahead to 26th October we have a trip to Stourhead or Westonbirt Arboretum planned. This is being organised by Lindsay and because of the distance (about a two and a half hour drive each way) it’s thought an overnight stay at a local Premier Inn (at Wells or Glastonbury) could be an option. The idea is that we can enjoy Westonbirt or Stourhead on the Thursday and then spend the next day at Wells on our way home. If this interests you then please let Lindsay know. The year marches on and whilst we still have a fair bit yet to come I will start to plan further ahead, so watch this space. In the meantime, keep taking plenty of photographs. 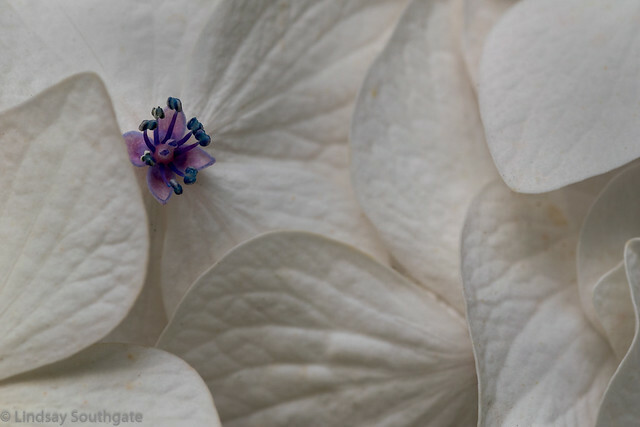 First of all congratulations to Lynda for achieving Associate of the Royal Photographic Society. I hope her success will inspire more of you to progress. On this point, just to remind those of you who are involved with our breakaway RPS Group there will be a meeting here at Lanlivery Cottage next Monday 3rd July at 6pm. 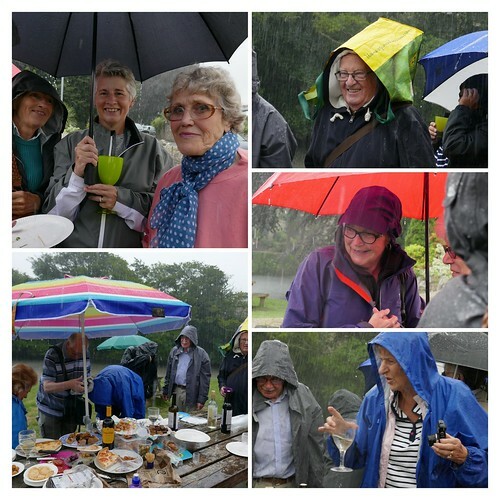 Despite the weather I felt everyone enjoyed the summer picnic. 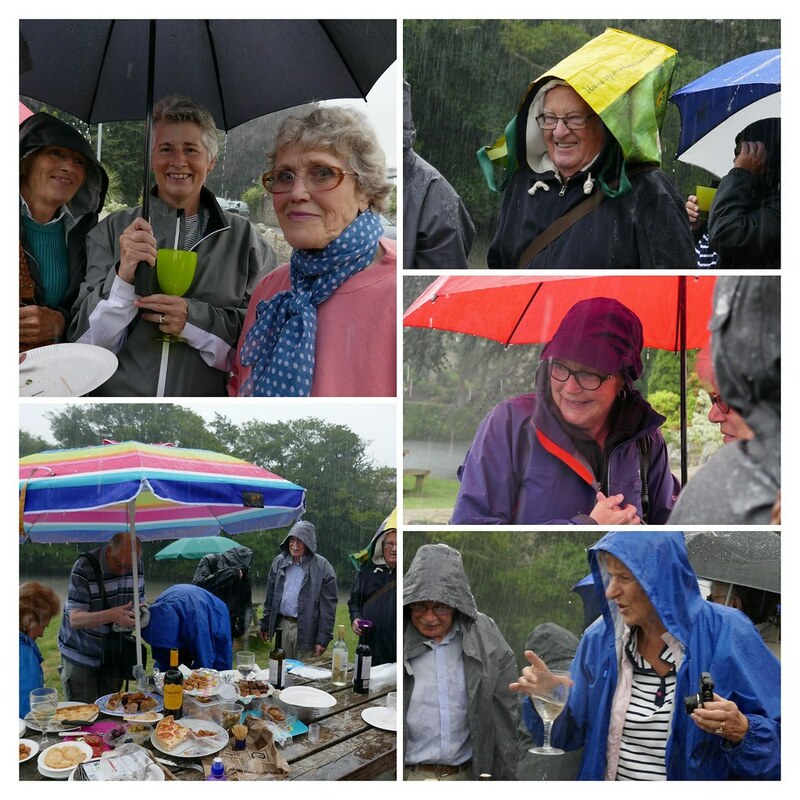 It was good to see so many of you turn out in not ideal conditions and also many thanks to Lindsay for arranging the evening. Also thanks to Jenny E for inviting us to her garden to photograph the flower meadow. I gather a number of you went along and Jenny has said she will let us know of other suitable times, so watch this space. Thanks to Jennie M for leading the trip to Godrevy. There are a few changes in field trips. The 29th June Ross Hoddinott trip has been changed to 27th July due to bad weather. Those of you going on it will know all about it. As 27th July is our normal 4th Thursday, I would propose having a field trip the week before on 20th July and then I will arrange a small group local field trip on the 27th for those not going on the Ross day. More on this later. If anybody has any particular ideas for these two field trips then please let me know. On 7th August is a trip to Lethytep and I would urge as many of you as possible to come along to this. There will be a small charge but all the money goes to charity and there is good tea and cake to be had which is included in the cost. I will tell you more nearer the time. We have a new trip booked on Monday 1st October which will be a day at Kennal Vale with Carla Regler and David Chapman. I anticipate the cost will be in the order of £20.00 per person for the day so if this interests you I will, as usual, accept interest on first come first served basis. Please email Peter.